Wooden docks have been built for centuries and survives today in our Classic Series Wooden Dock. Traditional construction techniques matched with extruded aluminum structural hardware creates a system that will blend with the beauty of your shoreline for years to come. Our Micro Pro Sienna Treated Docks are hand crafted by experienced carpenters using quality Canadian materials at our factory in Muskoka. 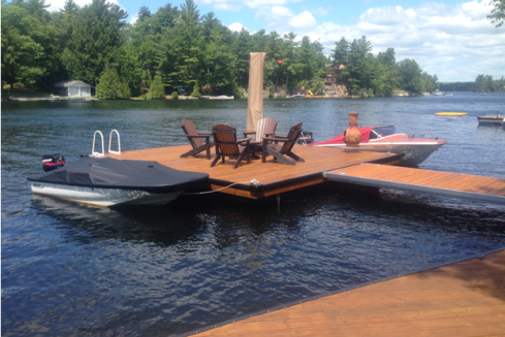 Every Classic Series Wood Dock utilizes very reliable foam filled plastic PermaFloat dock floats. Our full range of float sizes allow us to choose the right float to fit your design. Box floats are the industry standard for dock floatation. They are more durable & longer lasting than blue foam floatation, and more stable than pontoon style floats due to the flat bottom design keeping more material in contact with the water and creating more stable displacement. Add in the flexibility to build with over 50 standard float sizes and you have the most suitable flotation for almost any conditions. 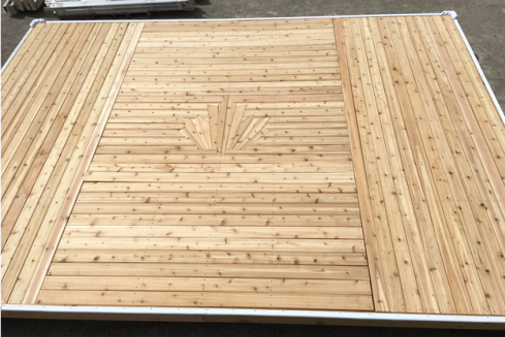 While our internal frames are most commonly PT lumber, decking & skirting can be PT, Cedar or PVC materials to give you the best look to fit your unique shoreline.